I remember installing GroupWise by Novell onto the lan at GodwinGroup in Jackson, Mississippi. “Why do I need to email somebody who sits right outside my office?” I was asked. Well, the rest, as they say, is history. Seriously…can you remember a time when you had to pay by the minute to talk with someone long distance? Or remember telling a family member to get off the phone so you could dial up AOL? 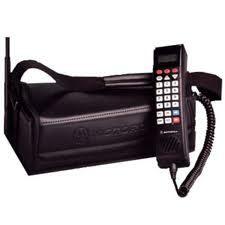 Remember bag phones, floppy discs, and the early days of websites – when you knew you needed one but weren’t sure why? Have an emergency? Dial 911 – not just from a landline at home – but wherever you are by cell! Get weather alerts on your phone, or amber alerts if a child goes missing. Receive important (and really unimportant) news about friends and groups via email, Facebook, Twitter, or text. See the world’s latest innovations unfold, and speak to the innovators themselves on Twitter! Google your symptoms and find quick relief to common ailments…and get warnings of when to seek medical attention. Information and Communications Technology for Development (ICT4D) has been easily accessible within the U.S. and continues to be more so. Yet just this week my colleague Betty in DRC reminded me that often surgery is performed by candlelight still. Information is trafficked by “sneakernet” – handwritten notes walked to and from sender to receiver. When I was in Zimbabwe in 2005, I asked the principal of a primary school when they had last received textbooks. “1986,” he said. Technology alone is never the solution. Technology by itself is confusing, breaks down, wears out, and provides little humanitarian relief. But, when technology is used for good – by people who want to improve their own communities – in health, education, agriculture, income generation, sharing God’s love, etc. – human and community development occurs. Lives can be made better. Lives can be saved. And we live in a time where developments in technology are being made to provide some of the most marginalized people on the planet with communication tools that can help them achieve their goals. Isn’t it a great time to be alive? Check out the conversation around best practices led by UMCom. Some of the world’s leaders in the ICT4D space are contributing via interview. When interviews and comments are done, a white paper will be built, along with infographics and slideshares. Why not add your voice to the conversation? A pioneer in the use of ICTs for global communications, Neelley inspires others through building and teaching solutions that are affordable, appropriate and available within remote settings - particularly in Africa and the Philippines. This entry was posted in My Stories and tagged ICT4D, m4d. Bookmark the permalink.